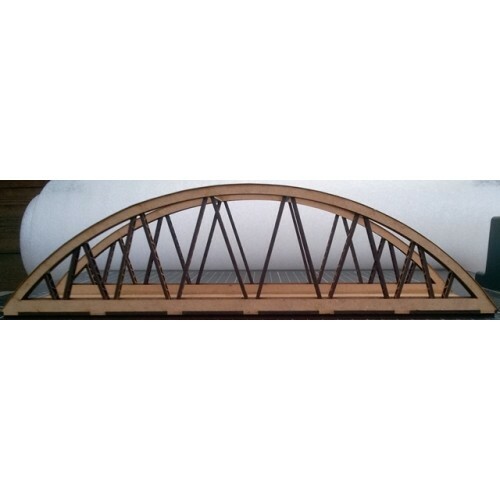 This is a model of a typical Bow String Girder Bride as found in many parts of the country. 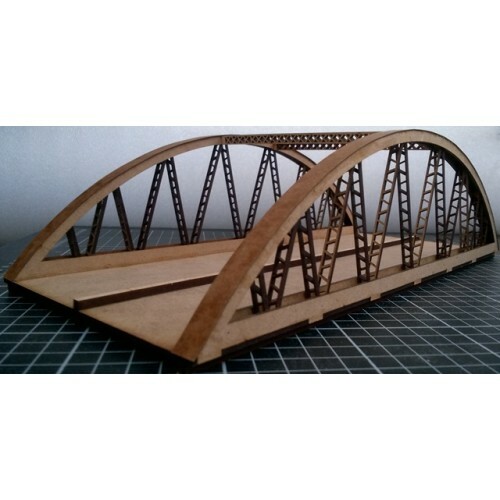 This particular model is based on a version of the Tavy Bridge. 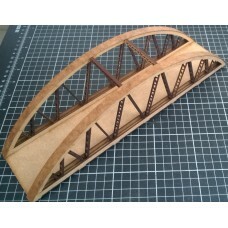 Made from MDF it comes either as a Single Lane Bridge or a Double Lane Bridge. It is in kit form and unpainted. To select the required model use the Available Options selection box to the right of the page. The price shown is for the Single Lane Bridge. If selecting the Double Lane Bridge the price will be adjusted accordingly. 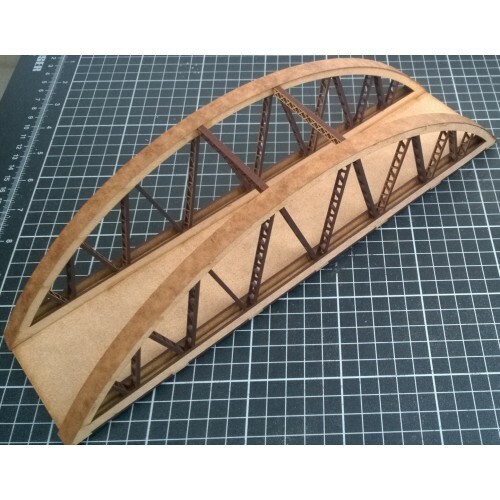 KS44-02-02 makes a full bridge which is based on one on the Swanage Railway. It will span three trac..
KS44-03-02 makes a full bridge which is based on one on the Swanage Railway but with a wider road ar..
KS44-04-02 is a kit that makes a full bridge which is based on one in Manchester west of Oxford Road..
KS44-08-02 makes a full bridge which is based on the Grange Court Junction road bridge. It will span..
KS44-09-02 makes a full bridge which is based on one half the Grange Court Junction road bridge. It ..